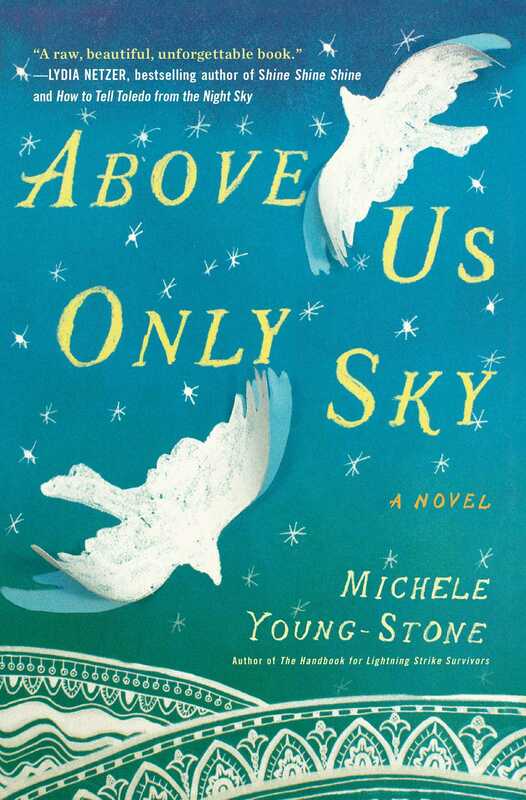 In Above Us Only Sky, Michele Young-Stone, an MFA grad and the author of The Handbook for Lightning Strike Survivors, once again digs into a quirky pseudo-realism that’s based in the great conflict of growing up. 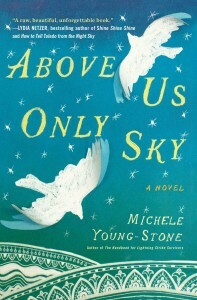 In an interview, she admits that Above Us Only Sky is a few different things rolled into one: it’s a historic novel about women and bodily freedom, but it’s also deeply grounded in the world of YA with just the right touch of fantasy to add wonder and bring the characters and conflicts to life. 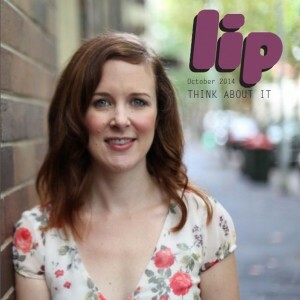 Her rich telling takes a detailed and fascinating look at modern feminism as portrayed in YA fiction. Above all, the novel is about the Lithuanian Vilkas women—spanning from the late nineteenth century to the present day—and this family’s semi-secret of seeing some of its baby girls born with wings. The novel’s narrator, Prudence, is born with wings during the 1970s, and the narration unfurls from there, detailing the surgical removal of Prudence’s wings at infancy and, through her ancestors, touching historical milestones like the Lithuanians’ exodus from their own land to the WWI and WWII occupations of that part of Europe by Stalin and Hitler. Throughout, Young-Stone uses vivid but accessible language to show not only the atrocities of mid-century totalitarianism and modern-day heartbreak but also the tender moments, both small and grand, that bring meaning to the characters’ lives. In addition to her facility with history, Young-Stone also has a sharp sense of imagery in her fiction that keeps the reader searching for meaning while moving through the narrative. A theme of the novel is winged women, and birds and flight imagery feature throughout. Prudence, in her older years, has become a biologist who studies birds. The story has her flying on jets to visit her homeland and even developing a unique intimacy with a fellow passenger, a pilot. The imagery of flight evokes a yearning for bodily freedom, which calls out to female readers who feel the pull of patriarchy or the tyranny of foreign colonisers, especially in war-torn contexts: Prudence’s great aunt Daina yearns to be her authentic Lithuanian self while she is hiding out in a false marriage and posing as a Soviet sympathiser; and her great-great grandmother, Ausrine, eventually loosens her wings in old age as she returns to her own Lithuanian soil. Prudence herself feels a need to fly away, farther than the land can take her, and sees her phantom wings as a blessing that carry an almost religious liberating force. In addition to the flight motif, the novel also features water imagery—what Hélène Cixous calls a feminist medium ‘par excellence’. Young-Stone also emphasises women’s bodies and corporeal freedom. Throughout the novel are scenes of people being driven forcibly from their homelands, many of whom are women who are beaten, killed, or raped in the process. Young-Stone weaves historical Soviet control over Lithuania into Prudence’s present-day narrative, showing how deep conflicts over bodily freedom transcend time and place. Even in 1970s America, Prudence does not have total bodily freedom because her wings were removed without her consent shortly after birth. The novel tracks her feeling of loss and stagnancy as she wishes to recover the freedom that her lineage and the wings had given her. To a modern feminist reader, it’s easy to read in the text a caution to the near-constant body policing that goes on today, everywhere from gender assignment at birth to women’s bodily agency as they grow. The novel bounces between several characters’ threads to tell what is ultimately a cohesive story. The book is about the gifts we pass on to our descendants, the ties that bind us, and the parallels that come with living in vastly different times, places, and social currents. Young-Stone has done a remarkable job in creating an engaging novel about family and women, showing through a hint of magic realism a touching story that urges the reader to search for meaning and feeling. This entry was posted in Arts, Books and tagged book, book review, books, feminism, fiction, lip lit, literature, magical realism. Bookmark the permalink.